Being fashionable (and staying that way) can be a bit difficult, especially if you are the typical 9-5 worker with hardly any “me” time. With all the things that you have to do, you would think that you surely have an excuse not to look good right? With the advent of smartphones and tablets and portable devices, you can easily get apps that can help you stay fashionable even when you don’t have too much time. With just a tap, you can create your outfit for a specific event, or you can even choose a nail polish color that suits you while on the train/bus to work. Here are some of the best fashion apps that you must have on your smartphone. Style Recipe is an amazing fashion app that offers tons of hairstyles for you. The best thing about this app is that you can customize the settings based on your face shape and hair length, giving you enough options and making sure that the hairstyles that you’ll find on your feed suits you. Plus, each trendy Japanese hairstyle includes step-by-step instructions, making everything easier for you. Now you can say goodbye to bad hair days. If you use Instagram or Facebook (or both), you’ll probably see a lot of people posting outfit photos but most do not put the price or the brand or the shop where they got their clothes. With Trendabl, a social network app for fashion, you can easily upload your outfit photo and tag the brand, the price and the shop where you got your clothes, making it easier for your followers to look for similar items and copy your look. For cosplayers out there, Anime Dress Up is the perfect app for you. 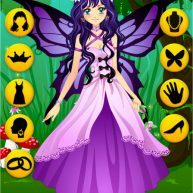 More like a dress up game than a fashion app, Anime Dress Up lets you create different outfits based on your favorite anime characters. Just choose a variety of characters and you can mix and match their outfits to create the perfect outfit for you. 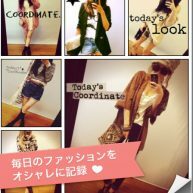 Codenote is a similar fashion app that lets you take photos of your outfit and share them with your friends. What makes this app more fun is that you can also talk about your clothes and your accessories, as well as share tips and ideas regarding fashion. If you and your friends are going to a specific event, you can even use this app to coordinate with them before going out. With thousands of users worldwide, you can even get fashion inspiration from different parts of the world. One of women’s biggest problems when it comes to fashion is choosing the perfect outfit for a specific day. It may be as simple as going to the mall or as complex as a masquerade ball, but most women put all their efforts into creating the perfect outfit. Stylebook is an app that helps you choose an outfit from the existing pieces that you have. Just take pictures of your clothing items and make a collage using these items, making it easier to create an outfit without breaking a sweat. Now you can always have the perfect outfit any time. 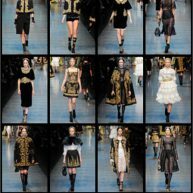 The Style.com app gives you VIP access to the world’s most fashionable shows and events at the comfort of your home. 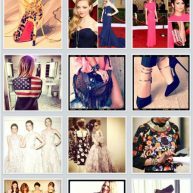 Browse through event photos and be in the know of the latest trends and styles in the fashion industry. You’ll also be familiar with the biggest names in fashion. Are you fascinated with Japanese fashion and would want to see pictures of Japanese girls and their cute and trendy styles? 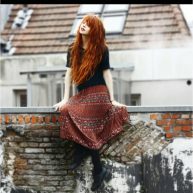 iGirls Tokyo is a fashion app that lets you browse through hundreds of photos of stylish Japanese girls. You can even choose the type of fashion that you want to see, and even the places where the pictures are taken, like Ginza, Akihabara or Shibuya. See what’s hot and what’s not in the current Tokyo fashion scene. Are you fond of reading fashion blogs but don’t have the time to browse through all your favorite blogs? Chicfeed is an app that compiles all the latest posts from your favorite blog in one place. It’s just like browsing through a magazine while having your nails or your hair done at a salon. Now you can easily be updated with the latest posts from your favorite bloggers. 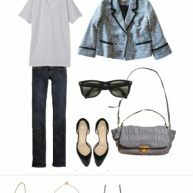 Apparelweb is a an app that lets you choose your favorite fashionable city (Tokyo, Milan, Paris, New York, Shanghai, etc.) and shows you hundreds of pictures from these cities. Learn more about current fashion trends and get a glimpse of new and quirky fashion trends from all over the world with a single tap on your smartphone. How to Do Your Own Cute Nails is an app that provides video tutorials and step-by-step instructions on how to create that cute nail art design. It also provide link on what tools where used and where to buy the stuff that you need. Now you can sport a perfect nautical nail art on your nails without going to the salon. With all the apps that are available on the market, you can easily stay fashionable and in style without having to spend time on it. You can even browse through these apps on your way home from work or even before going to sleep.